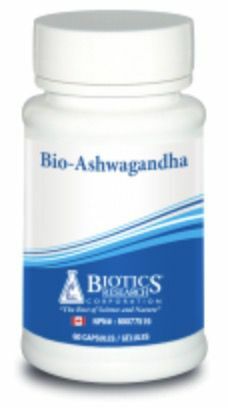 Ashwaganda Root (Withania somnifera) 300 mg.
Ashwagandha has been demonstrated to suppress stress-induced increases in dopamine receptors in the brain. It also appears to reduce stress-induced increases of plasma corticosterone, blood urea nitrogen and blood lactic acid. One Capsule each day or as otherwise directed by a healthcare professional.